Successfully Added Bluetooth Smart Watch EXE C7 - Pedometer, Sleep Monitor, Touch Screen, Heart Rate, Phone Calls, Messages, Notifications (Silver) to your Shopping Cart. If you are looking for a Bluetooth sports watch that motivates you every day and makes sure you’ll never miss a workout again, the EXE C7 sports watch is perfect for you. This amazing wearable comes packed with a wide range of fitness features that, together, support you in reaching the fitness level of your dreams in no time. A pedometer is in place to count the total number of steps and distance you cover throughout the day. Along with its sedentary reminder, this Bluetooth sports watch will make sure you’ll get the required movement every day to stay in great shape – making it the perfect watch for all office workers out there. Additionally, it features an accurate heart rate monitor that keeps track of your real-time heart rate during your exercise sessions. This data is especially useful for those of you that like to take the most out of their upcoming workouts and reach their fitness goals in the fastest way possible. Packing a powerful 300mAh battery, this sports watch will take you through multiple workout sessions without you needing to worry about running out of juice. Its MediaTec CPU brings forth a smooth performance and with 8GB of internal storage, there’ll always be some memory available for you to store pictures, videos, and music. 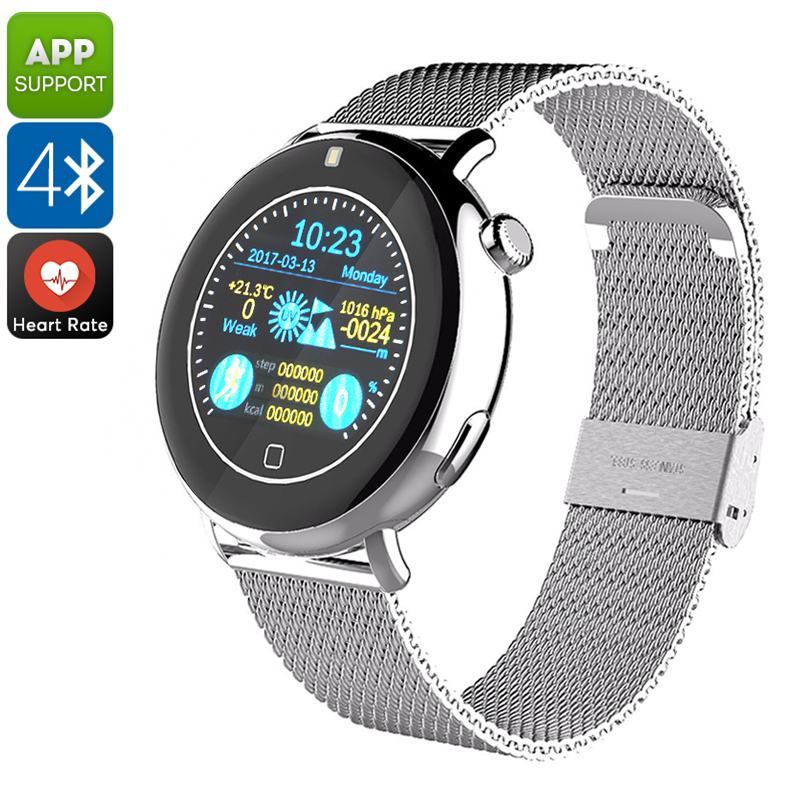 Whether you use it as a stylish Bluetooth smart watch that keeps you connected throughout the day, or as a highly sophisticated sports watch to increase your future workouts – this Bluetooth watch is the perfect gadget for anybody out there.